Please fill out this form and I will be in touch with you shortly, thank you! You will be added to my mailing list to receive updates. Do you have any questions or is there anything you would like me to know? Thank you! You will receive an email shortly with more details and payment information. Get to know Dr. Edward Bach and his Philosophy. start making remedies from day 1 without the need to go buy them! That's more than $300 savings! Thank you! You will receive an email shortly about payment. The Bach Flower Remedies® are a safe and natural method of healing. They gently and safely restore the balance between mind and body by transforming negative emotions and attitudes to positive ones. 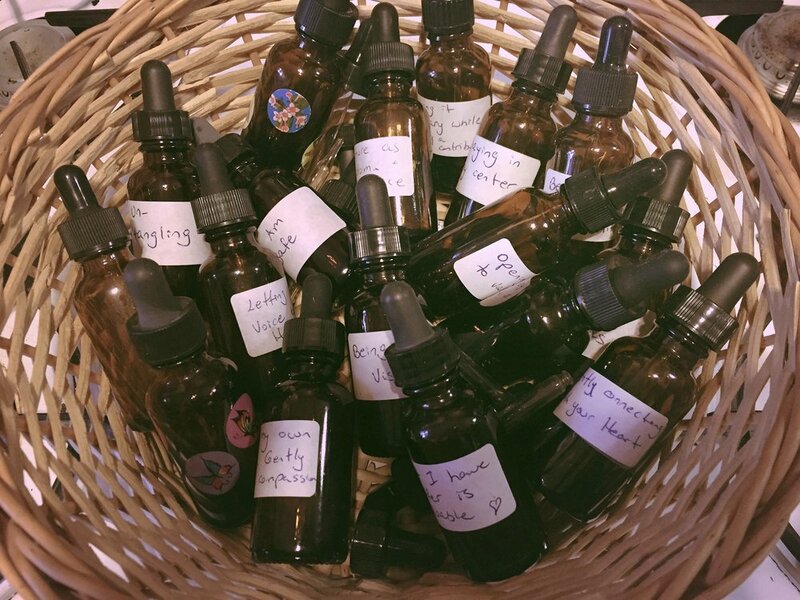 The Bach Flower Remedies® allow peace and happiness to return and stimulate the body’s own capacity to heal itself. There are 38 remedies, each one for a different type of personality, situation or emotional state. They are 100% safe for the whole family including babies, children, pets and even plants, and for every stage in life including pregnancy and breastfeeding. Noga Kreiman-Miller has been supporting individuals in finding Radical Self Acceptance for the last 20 years. Through her work as a Bach Flower Therapist & Teacher, IFS (Internal Family System) Practitioner and Rebirthing Facilitator she has helped hundreds of clients remove blocks from living life full of love, joy and peace, and has mentored healing facilitators to go deeper in their own work with clients. Noga masterfully leads her clients to do the most courageous and fulfilling self-work that you can do: to embrace your wounds so that you can receive all of the sacred gifts lying inside of them. To contact Noga, please fill out the form. ©2018 Sacred Healing for Emotional Wounds. All rights reserved.